Leather is love of all; either it is for wallets, purses, menu covers, handbags, shoes or other cases since it is irreplaceable material that adds a glow and elegance to the finished product. Nothing can beat the look and feel of genuine leather; however, here at World Wide Menu, Inc. we make use of bonded leather which is composed of ninety five to hundred percent real leather fibers and also latex binder, to create exceptional collection of menu covers. These are available in many colors and styles; all of the variants are of high quality and produce a beautiful look. It is a matter of pride to add such a classy product in our collection. 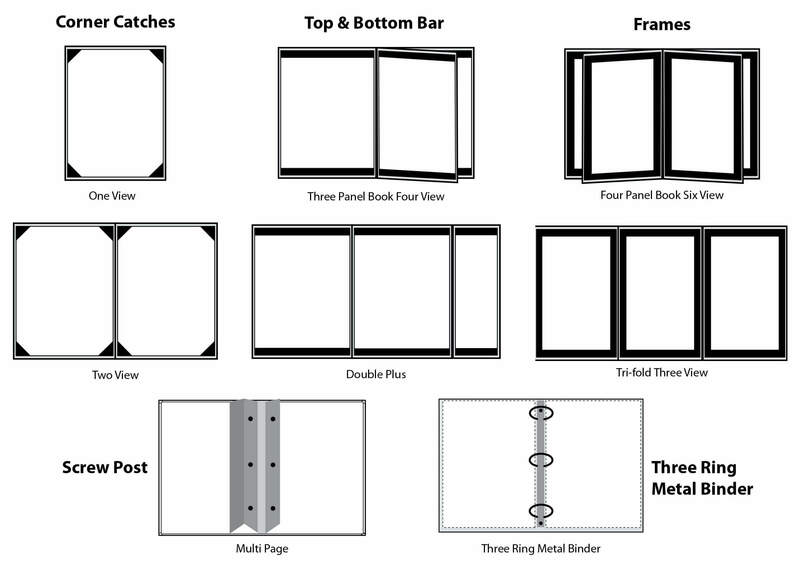 Rendering a bold and sophisticated look, bonded leather menu covers enhance the ambience of dining space. People feel delighted to hold them in their hands and explore a wide range of cuisines through it. One can be worry free of its maintenance as these are easy to clean and regular hygienic practices can do a lot better. A clean damp cloth followed by drying can be used for making it dirt free or spotless. Many times, a gentle wiping also works to maintain its charm. We also need to take care that these products are not exposed to extreme heat. This bonded or blended leather collection has leather like texture to the greatest extent as it includes animal hide during its manufacturing process. 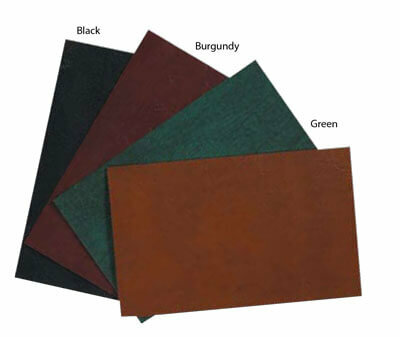 Now, let us discuss about the size, styles and color swatches of bonded leather menu covers. Some of these styling variants might cost additional charges. If you want to clarify the styling and viewing options available with us and their related charges, please freely contact our customer services team. You can even give a customization to these products; therefore, knowing about each and every alternative is better before making a decision.